Thanks for taking a minute to stop by our blog and learn a little bit about who we are and why we started GSG. GiveSendGo was started by 3 siblings in a family of 12 children. Heather(#2), Emmalie (#4, and Jacob (#5). There had been some discussion around the dinner table one night about what the Church would look like today, if it operated like described in the book of Acts. Where instead of believers fighting with each other, we worked together, and shared resources to help demonstrate the Hope we have in Jesus with the world. Crowdfunding got mentioned and it started the ball rolling.We hired a development company, 3- 4 months they said it would take to complete. 3 months came and went, 4 months, 6 months, 9 months and then finally a year and our developer was still making excuses on why it was not complete. We were stressed out and wondering if this was even ever going to happen. If you scroll back on our Facebook page you will see us announce that we were going live, then nothing... then announce we were about to launch again... and nothing.. it was then we first had to practice what we had been saying all along- GSG is GOD's and we are just working for Him. Whether it succeeds or fails, we are just moving forward trusting God had a plan in it all. We FINALLY launched in 2014, 14 months after conception. The first few months we were begging people to start campaigns. We were working out the kinks and switching developers. 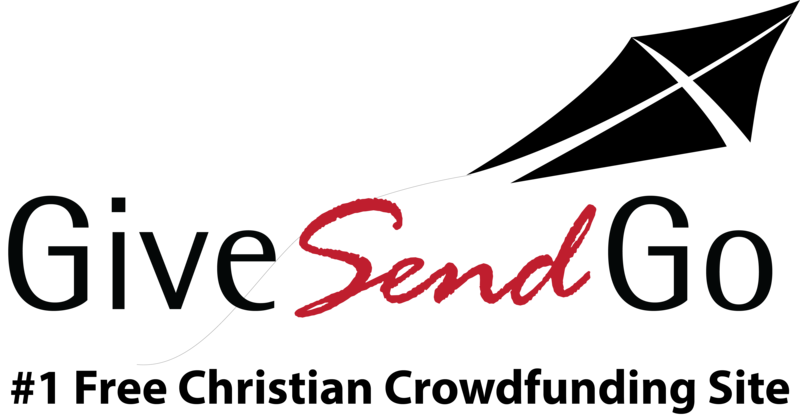 We were excited, seeing a campaign or 2 a week and praying that God would use GiveSendGo for His Glory. Not just to help people raise money, but to encourage the Church around the world to spread the hope and love of Jesus with the world. About 3 months in we were still gung ho as we were seeing a little traction, and the site was finally operating like it should .At that time campaigns on GSG were charged based on a sliding scale, as you raised over certain amounts of money, the percentage that we would take from each donation to help with operating GSG would lessen. We had meetings daily and would talk about and pray for GiveSendGo and the direction we were headed. At that time we realized every time someone started a campaign we would encourage them to remember that God is our provider, money is just a tool, but God owns the cattle on 1000 hills (and more!!!) We started feeling challenged. If GiveSendGo was God's idea that He planted in us, and this website was the journey He had us on maybe we should take our own advice. We decided in the early summer of 2014 to change our fee structure. No longer would we take a percentage of the money raised through GSG, we would make giving to GSG optional. We would trust that God had given us the idea for GSG and if we were faithful, He would do His work through it and in us. We took the leap of faith and became free. And we all lived happily, ever after.... well not quite. As with any start up, there are days where everything is working and great and you are on the mountain top, you feel encouraged and loved, and then there are days when you just want to throw in the towel and give up. When a piece of code breaks and unhappy emails come flying in about a feature not working, or a marketing endeavor flopping. We started to realize that maybe God didn't just give us GSG to help others be and do what God wants them to do, but also as a tool God was using to make us a little more into the people He wants us to be. A new site design. Anyone remember what we used to look like? Shareable widget on your campaign. We recently added a recipients step so you can change who is going to be receiving the funds. and so much more, many behind the scenes fixes and changes, making the website work more efficiently for you. We are so thankful for your patience, those who have maybe been with us during an update or error that we had to scramble to fix. We want GSG to be the best site out there for Christians to raise money, but not just so we can talk dollars and stats. It is our heart that the world will be changed as the Church comes together during tragedies, missions trips, adoptions, building funds, education, family need, medical bills , community outreach and more to use money as a tool to share the everlasting Hope of Jesus with our neighbors. Thank you for being a part of the journey with us. Thank you for your prayers, encouraging words and generous donations. Let's continue on working together to change our world!